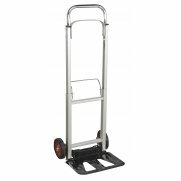 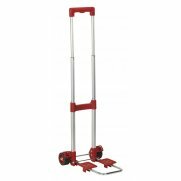 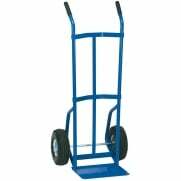 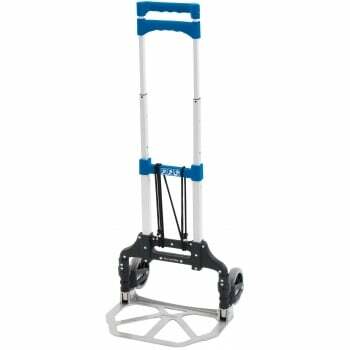 Weighing in at only 3kg our heavy duty folding sack truck is capable of transporting an impressive 90kg. 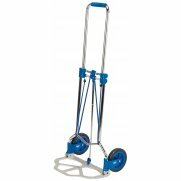 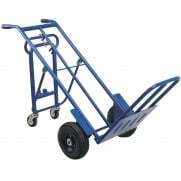 Fitted with a quick and easily collapsable action that enables the sack trolley to fold flat, ideal when making deliveries in vans, lorries and even cars. 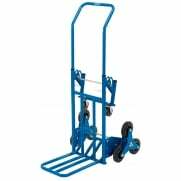 A compact and portable aluminium sack truck perfect for use in the workshop, garage and home.